Environmental print is the print found in the world around us like the words on signs and logos. Using environmental print in preschool and kindergarten is a powerful tool for supporting emergent literacy skills. Environmental print provides motivation to read for a purpose and allows young children to see themselves as readers. 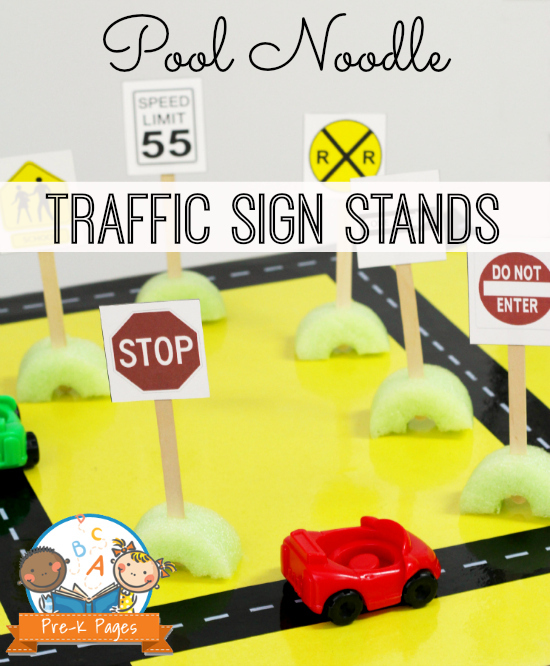 I created a set of free, printable traffic signs for you to use in your block center to help you create a print rich environment in your classroom, keep reading to grab your copy! Start by cutting a pool noodle into two inch sections with your scissors. 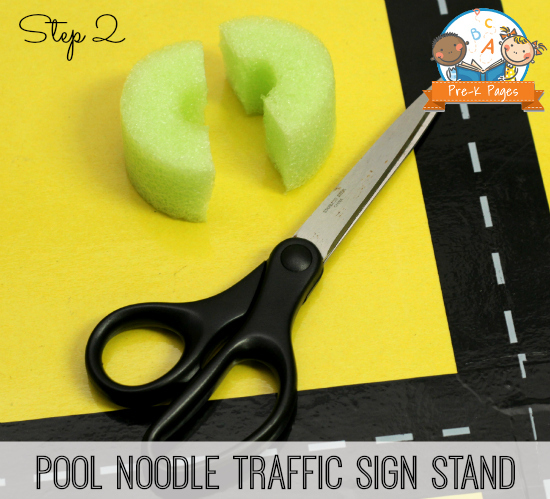 Pool noodles are very easy to cut with scissors, just apply steady pressure so your cut is even and not jagged. 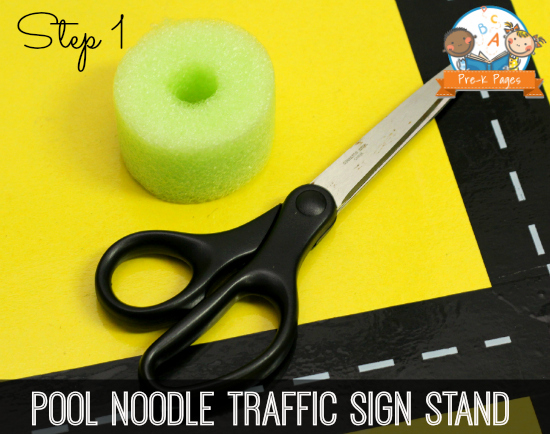 If your cut is not even your pool noodle sign stands may wobble. If you do cut your pool noodles unevenly all is not lost, just use a sharp knife to even them up. Next, cut each length of pool noodle in half as pictured below. Again, you will need to apply steady pressure instead of “sawing” through the pool noodle to get even edges. I suggest using a cutting board or similar surface under your pool noodle as you are cutting just to be on the safe side. You could also use a sharp knife to cut your pool noodles instead of scissors. Finally; use a sharp knife to cut a slit in the rounded top of each environmental print sign stand. The slit should be wide enough to accommodate a craft stick. I made the slits in the top of the noodle deep so the craft stick could be pushed through to touch the floor. 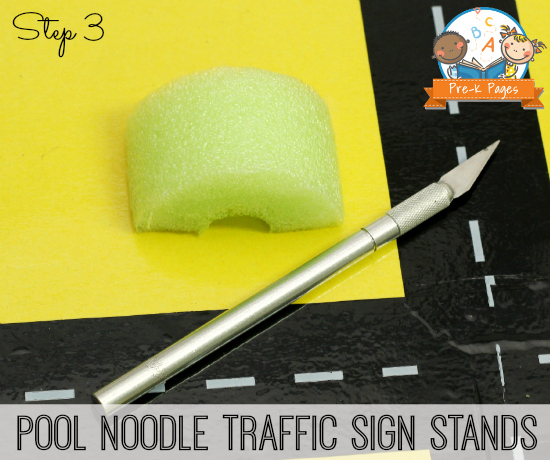 This will give your sign stands extra support when they are standing upright in the block center. Now your environmental print sign stands are ready to be assembled. First, print and cut out the traffic signs at the bottom of this post. 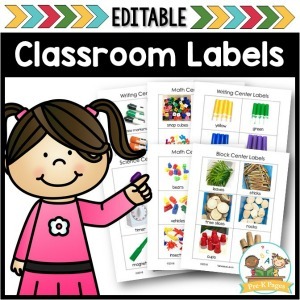 Next, use your double-sided tape to attach the signs to craft sticks. Finally push the bottom of the craft sticks through the slits in the top of the pool noodles. 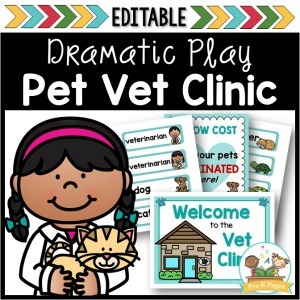 Place the environmental print sign stands in your block center for lots of learning and fun! I used some designer roadway tape to create the road in the pictures here. Just stick the tape to a piece of poster board and laminate to create a road for your block center. No need for fancy or expensive rugs! 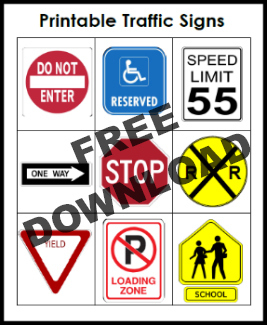 Click on the picture above to download the free traffic signs. This fantastic idea for using environmental print traffic signs in the block center was shared with me by Mr. Al Stewart, a wonderful early childhood trainer and colleague. 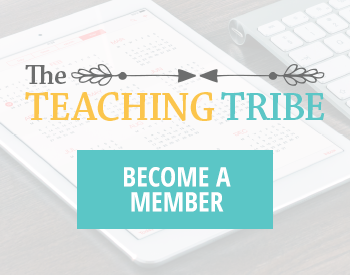 Follow my Literacy board on Pinterest for more great ideas! 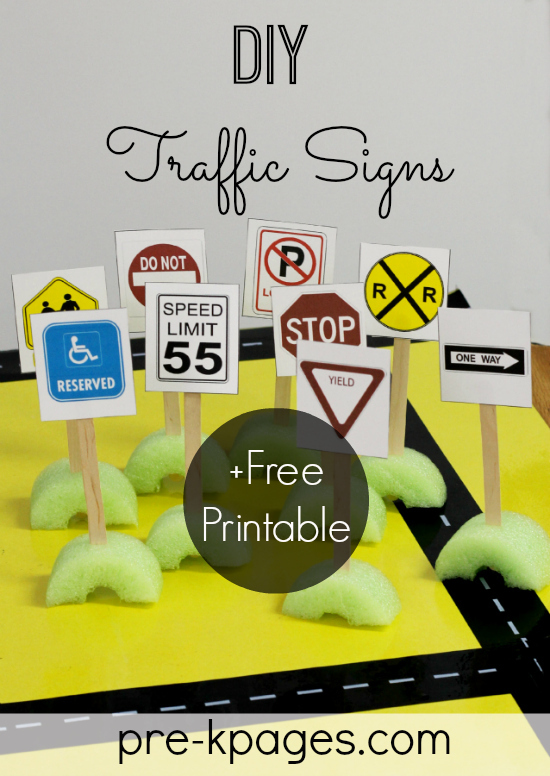 Thank you for stopping by Lavelle, I’m so glad you like the environmental print traffic signs! Can’t wait to make these with my son! Love it! Thanks Jodie! Please let me know how he likes the environmental print traffic signs- have fun! 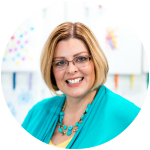 What a fabulous resource, Vanessa, and I love how you have used the pool noodles! Thank you for stopping by Christie! The possibilities are endless with pool noodles! What fun! 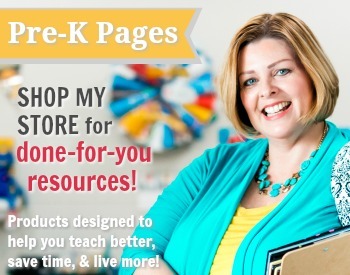 I love that you could use these inside and out.